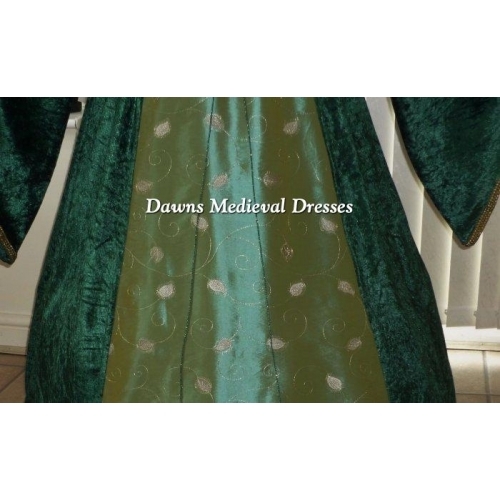 The main part of this gown is made from a stunning lightweight forest green velvet ..(contains lycra for a more comfortable flexable fitment) .....teamed up with a beautiful embroidered TAFFETA middle panel .....in pale green with stunning gold leaf detail, gold braid surrounds the neckline to add more detail. 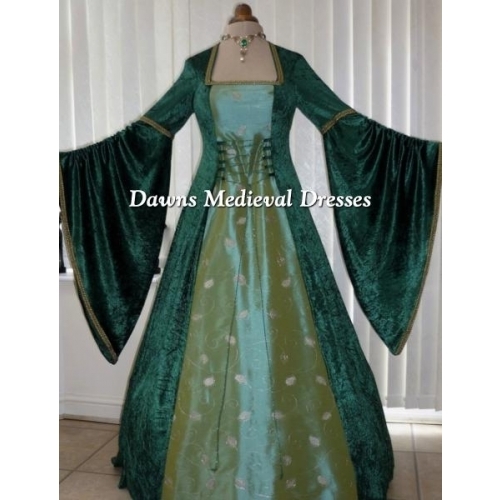 The sleeves are very luxurious and typical to the lotr era.. 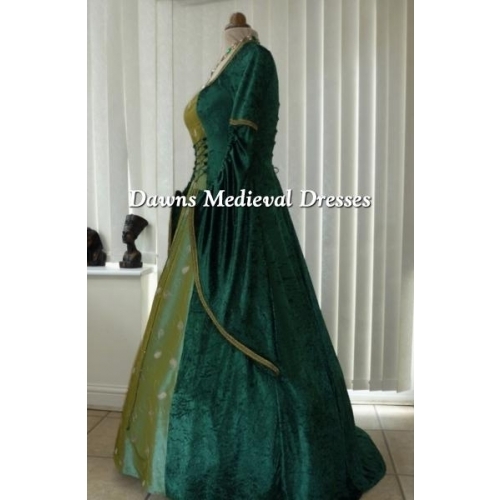 They are semi fitted to the top section with a band of gold braid and then further defined with wide bell bottom sleeves that you can gather and adjust to suit your length of sleeve, made in velvet fabric with matching braid surrounding the outer edge .... ......these sleeves have the most beautiful drape. The front and back has a corset type lacing ... 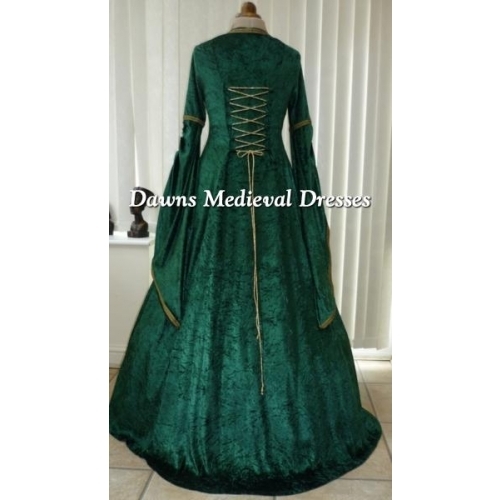 I have supplied green lacing for the front and gold for the back as it adds more detail to your whole gown. 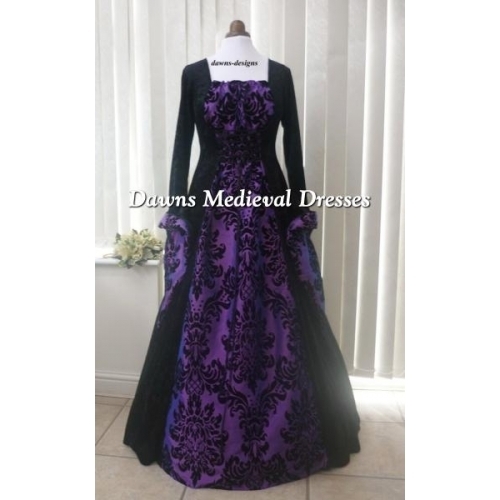 You won't be disappointed with this stunning dress ladies ,you will look simply divine and recieve lots of lovely comments.... a really elegant looking gown to own , ....also ideal if you swell up on your important day as this gown will hide it well ,this style gown is so comfortable to wear and does not restrict your movement. Dress has been displayed using a hoop underskirt ,this is not included with the sale of this dress.